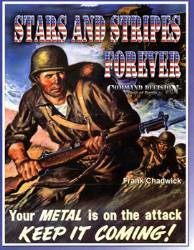 Stars and Stripes Forever Command Decision *Test of Battle* by Frank Chadwick. The US Army in the West in WWII, 1942-45. 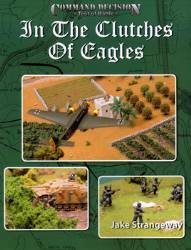 Regardless what rule system you play with, this supplement is the indispensable and definitive guide to the United States Army in Europe and the Mediterranean in WWII. It includes organizational and order of battle information not available in any other single volume. Exquisitely and lavishly illustrated book. This is the Army lists for the Warhammer Ancient Rule System covering the Biblical Period, includes rule specifics for chariots, etc. Highly recommended! 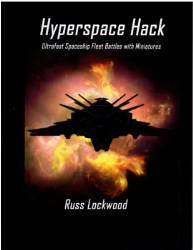 Hyperspace Hack Ultrafast Spaceship Fleet Battles with Miniatures by Russ Lockwood. Command intergalactic armadas, battle among the stars, and build the universe's greatest empire. Hyperspace Hack is for 2 players...or 20. Control 50 ships or more per player. Simple yet subtle rules or fleet-sized actions. One page quick reference charts. Crew quality from raw to elite, includes task force and armada morale. Rules for ramming, boarding and repairs. Point system for tournaments, campaigns, and balanced scenarios. Optional rules: 3-sided battle, crew promotions, and planet-killing lasers. 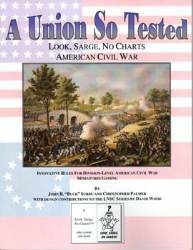 Look, Sarge, No Charts: American Civil War is the second rule set to feature the "Look, Sarge, No Charts!" rule system. This rule set features dynamic mechanics that allow the players to fight the battle, not the rules. Players command a division or more. In these rues "realism" is gained through simple mechanics that stress the players' decision making. Do not assume, however, that this means that "Look, Sarge, No Charts: ACW" is a bag-full-of-dice and "sixes hit" system. Six years have gone into the systems in this booklet. When you play it you will be challenged and excited. 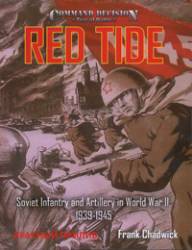 From 1941 through the spring of 1944 the Red Army bore the principal burden of opposing the German Wehrmacht on the continent of Europe. The armored and mobile forces would eventually be forged into a weapon capable of smashing the German armed forces, but it was the infantry and artillery which held the Germans at bay in the critical fighting of 1941 and 1942, and kept the Soviet Union in the war. 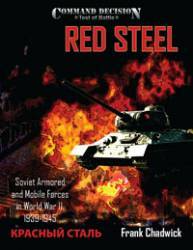 Regardless of what rule system you play with, this supplement is the indispensable and definitive guide to the Soviet armored and mobile forces in World War II. 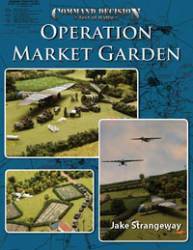 An overview history of the Market Garden campaign, from inception to completion, following each airborne division: the 101st around Eindhoven, the 82nd around Nijmegen, and the British 1st Airborne around Arnhem. 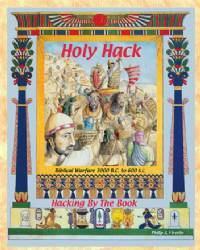 This is a Second Edition of Holy Hack A set of rules for chariot wargaming, refight the battles of King David and the Pharaohs. Battle of Qadesh scenario included. *An overview history of the fallschirmjager, covering their formation until their disbanding at the end of the war. *Detailed Divisional orders of battles for the Fallschirmjager as they change organizations in 1940, 1941, and then expand in 1943. 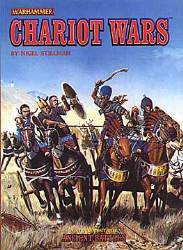 Volley and Bayonet Road to Glory book by Frank Chadwick. 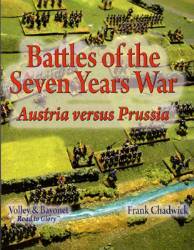 Pitched battles were the essence of the Seven Years War, Who hasn't been stirred by Fredrick's extroaordinary victory over the Austrian host at Leuthen, or his shattering defeat at Kolin? You cannot understand the Seven Years War without battles, and so we offer this first of two studies of the essential actions of Frederick the Great's most important war. Lobositz, Prague, Kolin, Rossbach, Leuthen, Hochkirch, Liegnitz, Torgau, Freiburg. Each battle includes an historical summary, detailed battle map, notes on game presentation of terrain, deplyment, game length and victory.